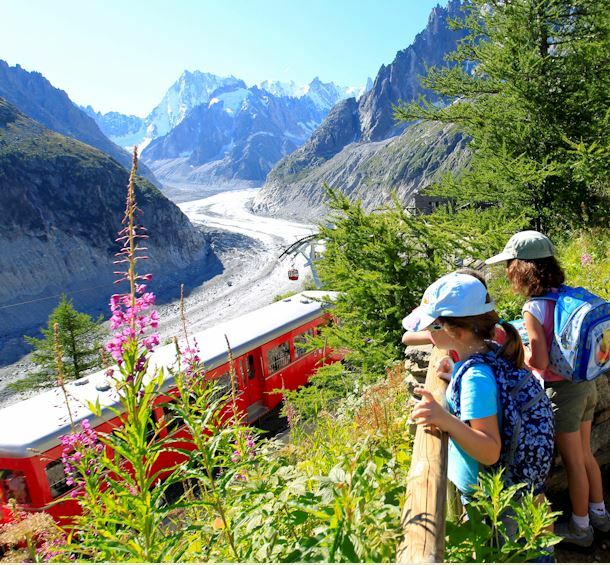 Benefit fully from the mountains and the pure air by renting a gîte or a room in a chambres d’hôtes [bed & breakfast] guesthouse in Chamonix. Receive a warm welcome by local hosts in our chambres d’hôtes guesthouses. Would you like to sleep at high altitude while still enjoying great comfort and quality of service? Then choose one of our gîtes, mountain refuges or chalets between 1,000 and 2,000 metres altitude with wonderful views of L’Aiguille Verte, L’Aiguille du Goûter, Les Aiguilles de Chamonix, Les Drus or La Mer de Glace. The fact that the owners reside in the chalet, all this will ensure a most comfortable & enjoyable holiday!... Book now ! Large renovated chalet to rent, up to 15 guests, in the Chamonix Mont Blanc valley country side, in Vallorcine small mountain hamlet at the bottom of one o... Book now ! Ideally located, close to all amenities: 10 min walk to town centre and to the sports centre; 5 min to both SNCF and Montenvers (access to Mer de Glace) ra... Book now !